Liposuction can be a very effective procedure to help you reduce pockets of excess fat that can appear virtually anywhere on the body. However, it’s not the only treatment available that can eliminate stubborn fat pockets that are frustratingly resistant to diet and exercise. 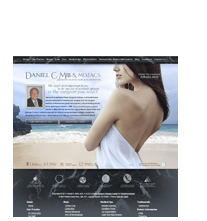 A less invasive alternative to liposuction offered by board-certified plastic surgeon Daniel C. Mills, MD here at the Aesthetic Plastic Surgical Institute utilizes an innovative technology to reduce excess fat with little to no downtime after the procedure. CoolSculpting® is approved by the U.S. Food and Drug Administration and can help you reach your goals with successful results. Please contact Dr. Mills for more information, or to schedule a consultation. CoolSculpting® can also be part of a Mommy Makeover procedure for a more comprehensive body rejuvenation. It’s important to remember that CoolSculpting® is not a weight loss treatment; in fact, the best candidates for this procedure are often at or near the ideal weight range for their bodies. CoolSculpting® is designed to help patients reduce excess fat in certain body areas that can be challenging to eliminate through traditional diet and exercise routines. During your initial consultation, we will talk with you about your needs and determine whether CoolSculpting® is the ideal option. 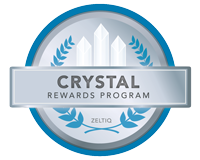 If so, we will develop a customized treatment plan designed to provide the best possible results. The CoolSculpting® procedure utilizes Cryolipolysis™, a technology developed by Harvard dermatologists to cool excess fat cells in the area targeted for treatment. A special applicator will be used to draw the tissue into a cup with a vacuum-like effect. During the procedure, only the excess fat cells are targeted for treatment; the surrounding tissues should remain unharmed. The cooling device allows for an inflammatory process to take shape, breaking down fat cells and causing them to filter out of the body naturally through the liver. Once this process is begun, the thickness of the fat layer should diminish gradually as your natural metabolism gets rid of the excess fat cells. The CoolSculpting® procedure is minimally-invasive and does not involve surgical intervention of any kind. You may feel a cold, tingling sensation while the applicator is placed on the skin; however, this sensation should fade as the area becomes numb during treatment. Most patients do not experience excessive amounts of discomfort while the treatment progresses. In fact, many individuals use the time to read a magazine or simply relax throughout the procedure. The entire treatment typically takes about one hour per area, depending on each patient’s needs and goals. What Can I Expect in Terms of Recovery from CoolSculpting®? One of the many benefits of CoolSculpting® is that there is typically no recovery time necessary. Some redness and itching may be present in the treated area after the procedure; however, these effects should dissipate quickly. Most patients are able to resume normal daily activities immediately. When Will the Results of CoolSculpting® be Noticeable? Results from CoolSculpting® are often most noticeable after about two to four months. With that in mind, some patients continue to notice results after six months. After all, this treatment is designed to help individuals gradually shed the excess fat cells targeted for treatment, so the results should become more and more noticeable as the body’s metabolic processes get rid of the treated fat over time. Many patients only need a single CoolSculpting® treatment session to achieve their goals; however, some individuals may need multiple sessions. Dr. Mills advises patients to wait approximately three to four months between treatments to give the initial treatment an adequate amount of time to produce results. Since every individual has different needs and goals, and CoolSculpting® is customized for each patient, the ultimate cost of the procedure varies. The number of areas being treated, the experience of the provider, the location of the practice, and other factors are taken into account when determining the price of CoolSculpting®. The national average cost of CoolSculpting® is typically somewhere between $2000 and $4000; however, as noted above, this figure could be less than that depending on the customized treatment plan. Once your plan has been developed during the initial consultation, a member of our team will create an overall cost estimate and go over it with you. Our practice accepts a variety of payment methods, and we work with CareCredit®, a reputable healthcare financing company that offers a range of low- and no-interest monthly payment plans to qualified applicants. 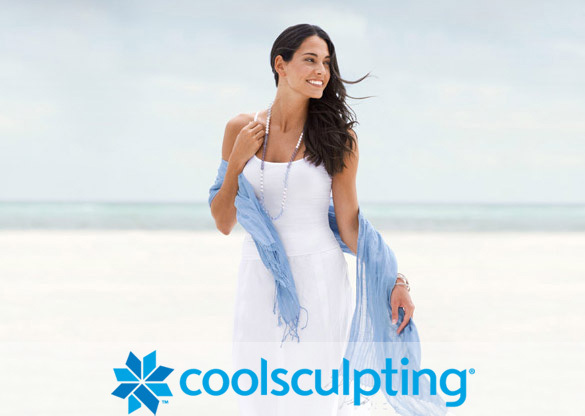 We will be happy to talk with you about your options and assist you with finding the most convenient way to pay for your CoolSculpting® procedure. If you have more questions on CoolSculpting®, our CoolSculpting® Consumer FAQ offers a wealth of additional information. If you would like to schedule a consultation to talk more about this procedure with our board-certified plastic surgeon, please contact Dr. Daniel C. Mills. We look forward to hearing from you!